1. It’s a full moon tonight, the last–and thirteenth–of the year (usually there are twelve, but Bad Astronomy explains lunar cycle math really well here). I signed up for a “plot workshop” through the U of U’s continuing education program in the spring, but it was canceled. Another “creative non-fiction” class was offered in October, but that turned out to be a busy month for me working on one of the 2 quantitative things (read on) so I didn’t take it. Plus, it wasn’t technically a fiction writing class. I knew this would only happen if I took a class that required it, so I’m not too upset about not doing it. I ended up reading 5 books, all during the summer, as reported on here. I also made it 2/3 through 1984 and am still working my way through The Happiness Project, which I think is going to inform my goals for being 33 (stay tuned). I didn’t talk about it much here, but at the beginning of the year I wasn’t sure I even wanted to be a writer any more. I thought and thought and changed jobs and thought some more, and I can say I’m in a much better mental place about my career now. From “Christmas for Mystics,” by Marianne Williamson. Happy hippie Christmas, everyone! According to the mystical tradition, Christ is born into the world through each of us. As we open our hearts, he is born into the world. As we choose to forgive, he is born into the world. As we rise to the occasion, he is born into the world. As we make our hearts true conduits for love, and our minds true conduits for higher thoughts, then absolutely a divine birth takes place. Who we’re capable of being emerges into the world, and weaknesses of the former self begin to fade. Beyond the mythmaking, doctrine and dogma, [Jesus] is a magnificent spiritual force. And one doesn’t have to be Christian to appreciate that fact… Beyond the nativity scenes, beyond the doctrinal hoopla, lies one important thing: the hope that we might yet become, while still on this earth, who we truly are. As children, but we never heard the good stories. Be certain whether our family was worthy tonight. So the blog move is all done and you should be seeing a fancy new font and fancy new navigation and a fancy new book linen background. Many thanks again to my long-time friends (and brilliant business owners) Amber and Steve for getting this together for me. I need to do a wrap-up on the 3+2 Things for the year, but I think that’s about all I’ll be posting next week–because we made it through the Solstice (at 4:11 this morning MST), Christmas is upon us, and there are Thin Man movies to be watched. The energy is about honoring and forgiving the structure that has held life together up until this point. Move yourself into a place of trust that a new structure has been organizing itself… through a collective intention of having a better world. The best intention during this time is to be in trust. So after nearly seven years, the blog is getting a facelift! By Monday or so there will be a new platform, new look, new better pictures, tabs for my portfolio, and more stuff I haven’t even figured out yet. It should even look better on a mobile device (now that I have one of those, I care about these things). The move should go well because I’m not doing it (these pros are) but just in case this page doesn’t cahnge for a week, you can check my Twitter stream for any updates (and follow the saga of the broken French press while you’re there). 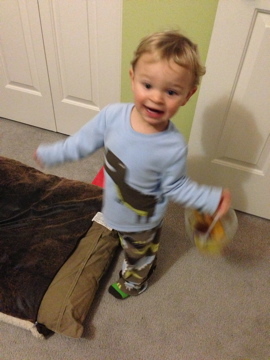 Of course, I wish Play-Doh (being swung in that bucket) got me that excited, too. More darling pictures at my brother’s blog. 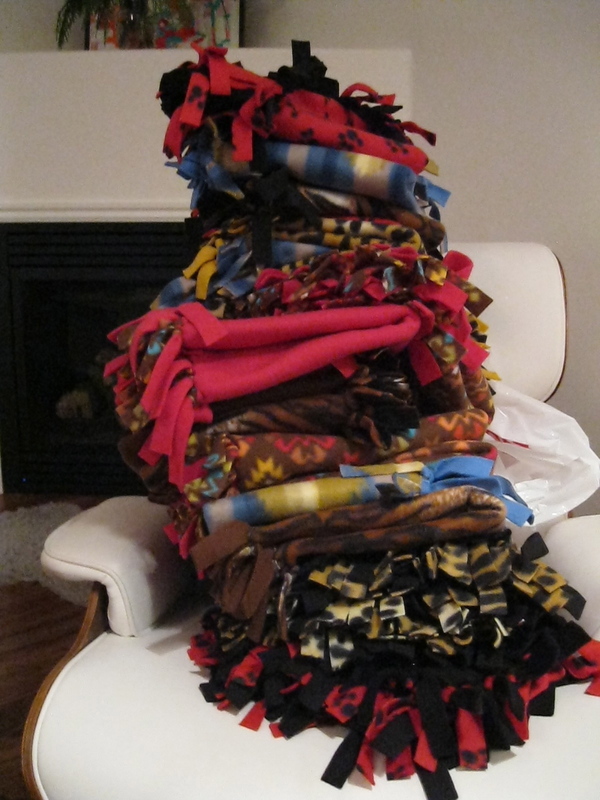 First the joy: Last week’s kitty blanket tying party will make a lot of kitties warmer and happier this year. 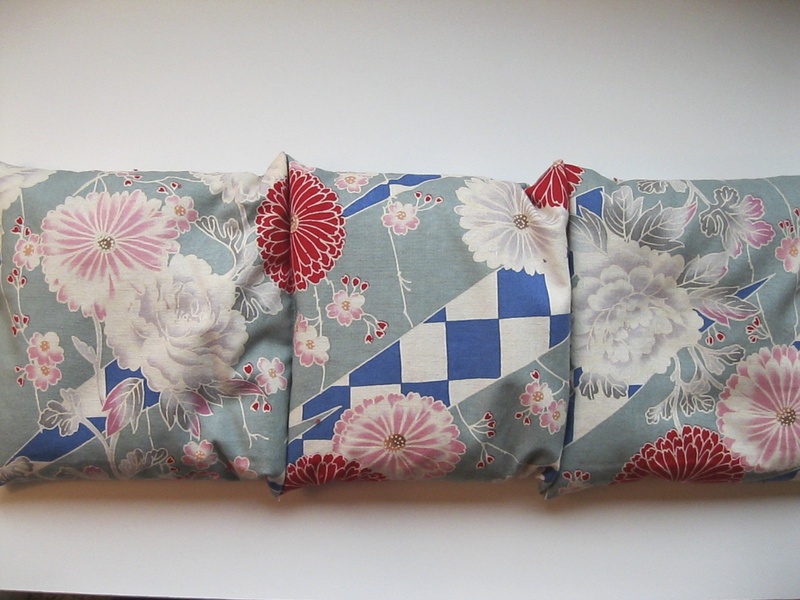 …and I was opening up the buttonholes in the cover and sliced right through one. $%&! Good thing pillow coverss are easy to re-do. Dawning realization of the power I hold in my hand? Yes! Richard Strauss? Yes! If you need me I can be reached on my monolith. I mean smartphone.